We are family owned stone business based in Texas. 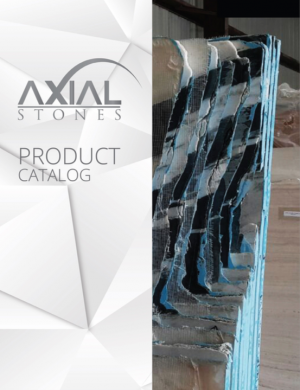 Axial Stones' mission is to provide our customers the best service and exclusive access to the world most beautiful stone patterns and colors. When you visit Axial Stones, we make sure you get access to more than 200 colors in the heart of Houston. Through out our various business ventures, we have developed strategic networks with multiple stone producers in South America, Europe and Asia. Our natural stone collection come directly from quarries from all over the world. We have developed a user friendly website to make it easier for our customers to browse various stone colors in order to make the best decision in their future investment. Our friendly staff are dedicated to provide you with top quality products at the most competitive prices. Axial Stones new distribution center in the heart of the stone district in Houston, Texas and easy access to Houston sea port facilitated logistics work to serve customers from different parts of the world in addition to our national customer platform in Texas, Louisiana, Oklahoma, Kansas, Illinois and the North East. Welcome to Axial Stones, your reliable stone destination! ©2019 Axial Stones. All rights reserved.